Our objective is to deliver the efficient yet cost effective solution for straining impurities from the liquid stream flow and to meet thereof, we are here with the truly worthy range of the carbon steel basket strainer. As the name implies, the offered basket strainer is made from the carbon steel material to make it sturdier yet low cost. The considerably high open area ration of this carbon steel basket strainer entitles to filter heavy particle load without failing and therefore is extremely popular in the industries wherein the ration of the impurity is higher. The offered carbon steel basket strainer is composed in synchronization with the ISO 9001:2015 manufacturing standards and hence is accredited worldwide. Further, the face to face dimensions and the end connection flanged dimensions are as per the ASME standard, which we also can provide as per DIN or BS standards. Our each piece of work is tested as per the API 598 standards to ascertain its leak free performance spanning the life. The basket is easy to detach and clean during the operation increases the efficiency of the system. The strainer basked used in the construction is of the stainless steel material that does not corrode, even after the longest period of time. 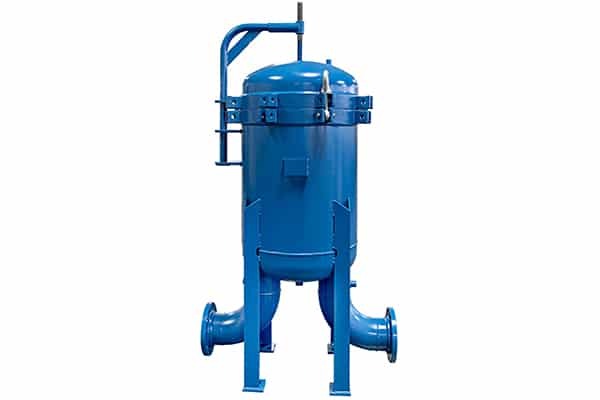 This Carbon Steel Basket Strainer has proven its effectiveness in the several industries by performing unfailingly and hence has gained the good market in the India and other countries to filter the cooling tower water and protect pump, valve, and other process equipment, available to operate under the 150 psi to 300 psi operating pressure as well as in the different measurements as per the end user need.